These will be the life of the party even before they’re opened! First, pick your favorite Kaleidoscope paper design. Bright colors and festive designs make Kaleidoscope an easy choice for this type of project. Next, cut your Cricut® shape out of your chosen paper using the Artiste cartridge. The Artiste cartridge also comes with a handy instructional booklet that will show you how to fold it into its 3D shape! Last, bling it up! Add some sparkle with glitter paper, shimmer trim, and sparkly embellishments! 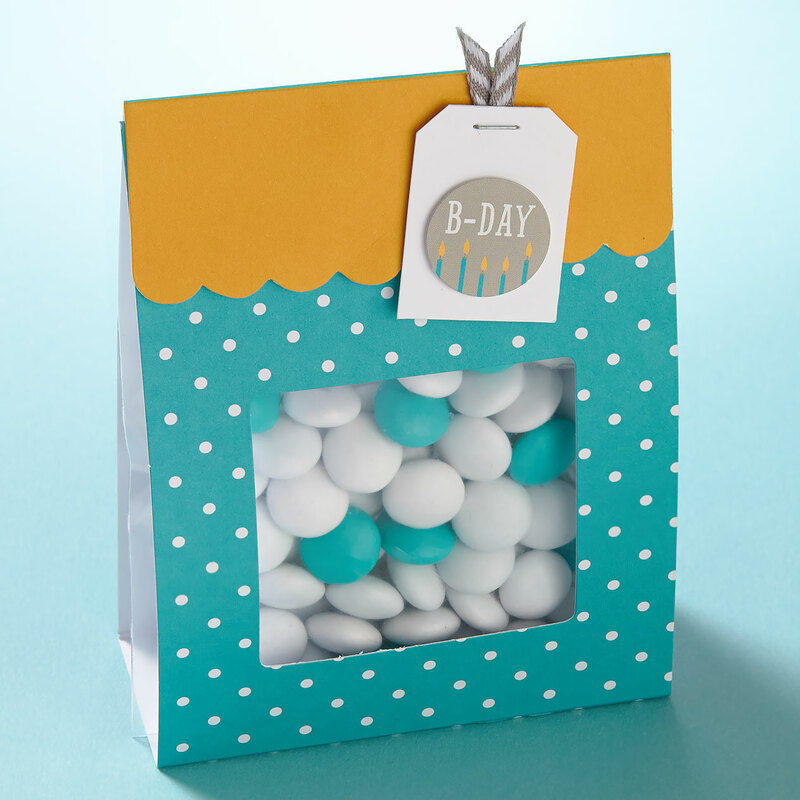 As fun as these popper-like favors look on the outside, you can make them even MORE fun by putting surprises inside before sealing them shut. When your guests are ready, they can rip open an end to find a special treat—maybe a few pieces of candy, a “fortune” for the new year, or even a little toy! Just like that, you’ve got a fun, unique gift everyone will enjoy! To finish off your popper, we’ve got an extra fun idea— confetti! Pull out your triangle border punch, and cut out pieces of Kaleidoscope paper, glitter paper, cardstock, or all of the above! The hole in each end of the popper is big enough that you can insert the confetti even after assembling the popper. We’re back with the final installment of the birthday series, and we’ve saved one of the most exciting parts for last—party favors! Your favors are the finale for your party, the little piece that walks away with every guest. You want them to make a statement, but mostly you want them to be quick and easy! Here we have a handful of ideas for favors that you can make quickly, but beautifully, with your Close To My Heart products. Have a blast experimenting with what favor is right for your party and then pick one to make! Tuck your treat into a Designer Creations paper bag. 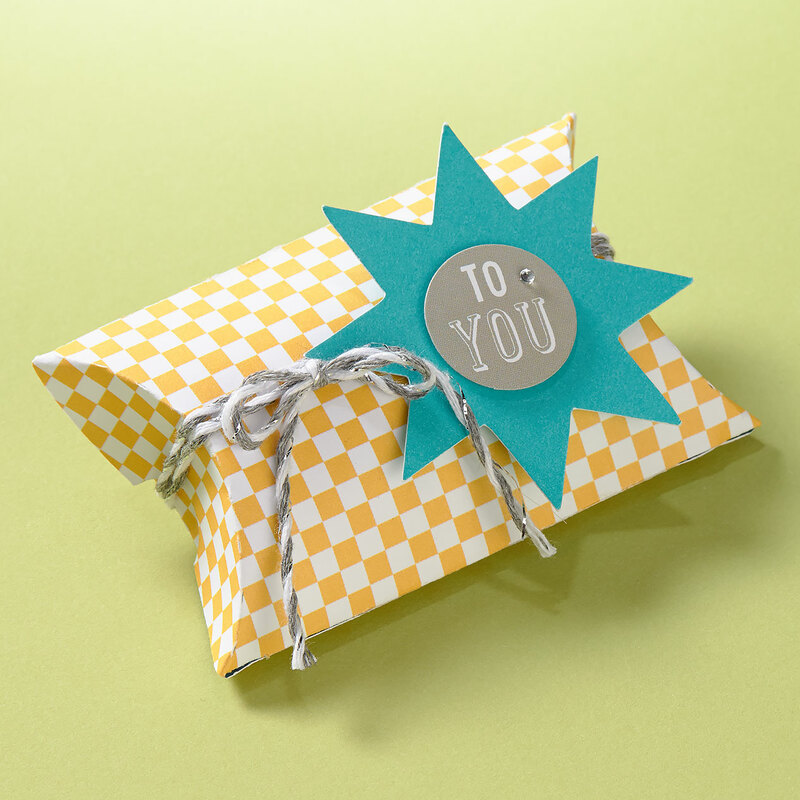 Simply fold over the top and secure it with a mini staple, a mini clothespin, or a touch of adhesive, and you’ll have a secure package. Add a decorative touch with a Cricut® cut and a few of your favorite embellishments. Enjoy the simplicity of a Cut Above™ treat bag kit. The kit comes with 10 different bags and all the necessary trimmings, so most of the work is already done for you; all you need to do is assemble it! You can personalize the bag with a few additional embellishments. Here we’ve switched things up by using the color-coordinated sticker from the kit as an accessory for the tag instead of its intended use as a candy topper. Small or large, a Cricut® Artiste box is always a hit with friends and family! Wrap up a small treat in good style with a pillow box like this, or any of the other great boxes available on the cartridge. 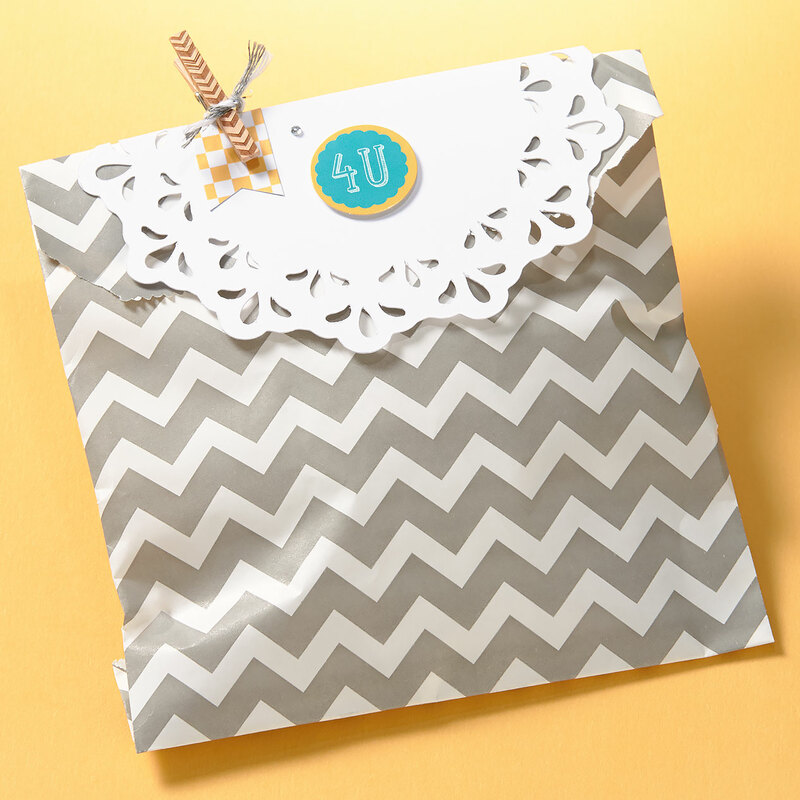 Decorate your little package to your liking until you’re sure you’ll delight your recipients. 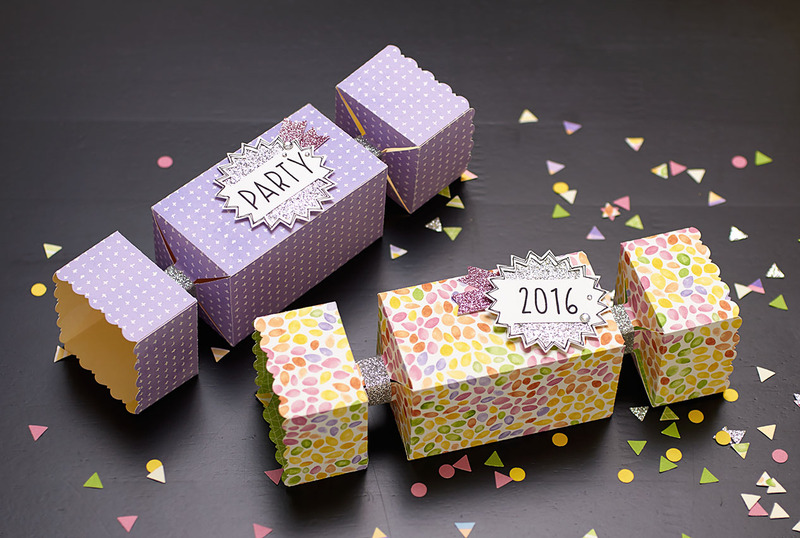 When cut from the Confetti Wishes papers, the boxes are already so cute you hardly need to add anything more! We hope you enjoy planning every last detail of your birthday parties this coming year. If you have more ideas you wish to share with the rest of us, be sure to leave a comment below. Happy birthday-izing!